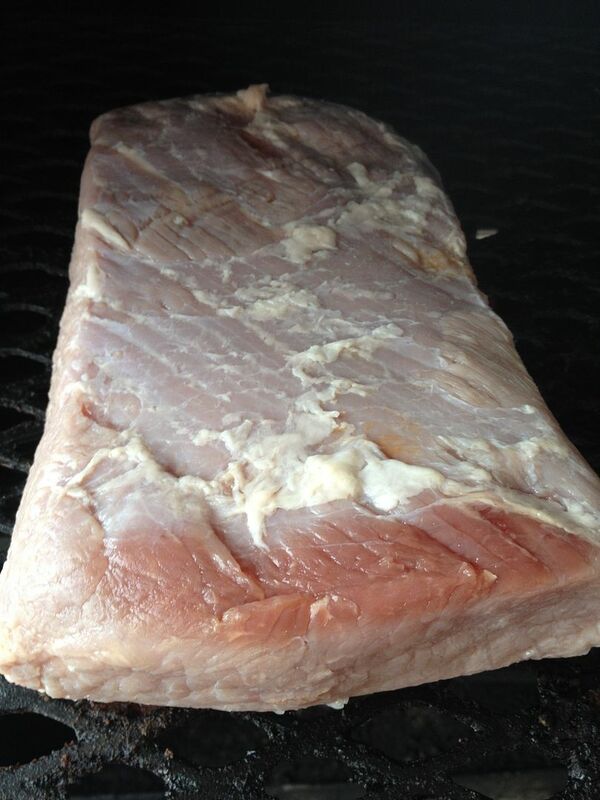 Corned beef is a beautiful thing. I love it in all of its forms. Deli style, thinly sliced with mustard and Swiss on rye. Boiled in a pot with cabbage on the side. Transformed into pastrami. Even the mystery meat in a can is pretty good. From time to time I like to smoke a corned beef without the pastrami spices. 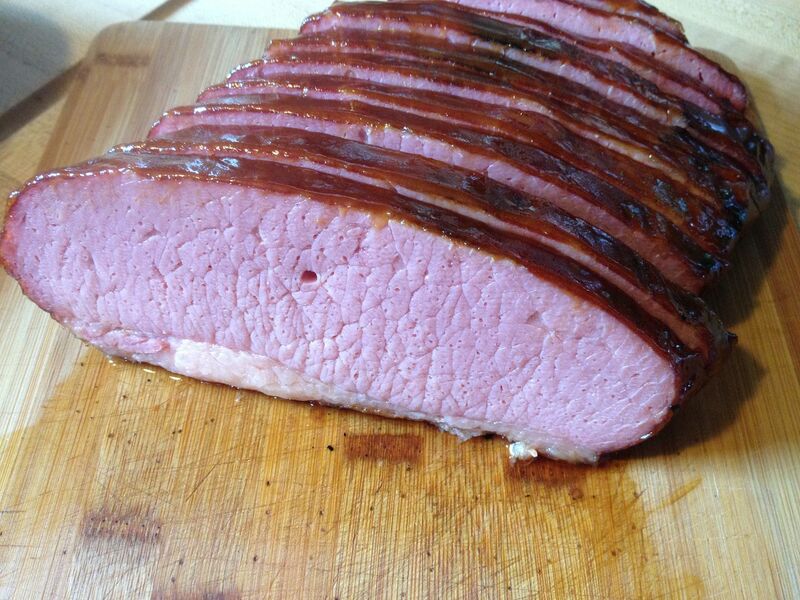 So, since it is that time of year when corned beef is semi reasonably priced, I picked up an extra package at the store this weekend and threw this treasure on the smoker. Back when I was a kid, my mom would bake a corned beef in the oven from time to time (four hours at 250F). She would make this glaze, that if memory serves me right, was ketchup, mustard, and brown sugar. I had a glaze in mind, but I was looking for something a little different. So, off to the kitchen we go. First, I removed the corned beef flat from the package, then rinsed well with cold water. Then, I placed the meat in a tub with a five pound bag of ice and some water and let it sit overnight to remove as much pickling brine as possible. In the morning, I drained the tub and soaked again in cold water for about two more hours. Then, I thoroughly rinsed the flat with one last time with cold water, then patted dry. Next, I lit my smoker and brought it to 250 F. Once at temperature, I placed some pecan wood in the ash pan and placed the brisket on the top shelf of my smoker. Then, I walked away until the internal temperature of the meat was 160 F, about four hours. Here it was the corned beef looked like after four hours. I applied the glaze to the brisket twice. Once to start, then a second time after 30 minutes. After the second application, I let the brisket cook for 30 more minutes to set the glaze. After letting the corned beef rest for 30 minutes, I sliced across the grain. There you have it, something a little different than your usual St. Patrick's Day corned beef. Good stuff. 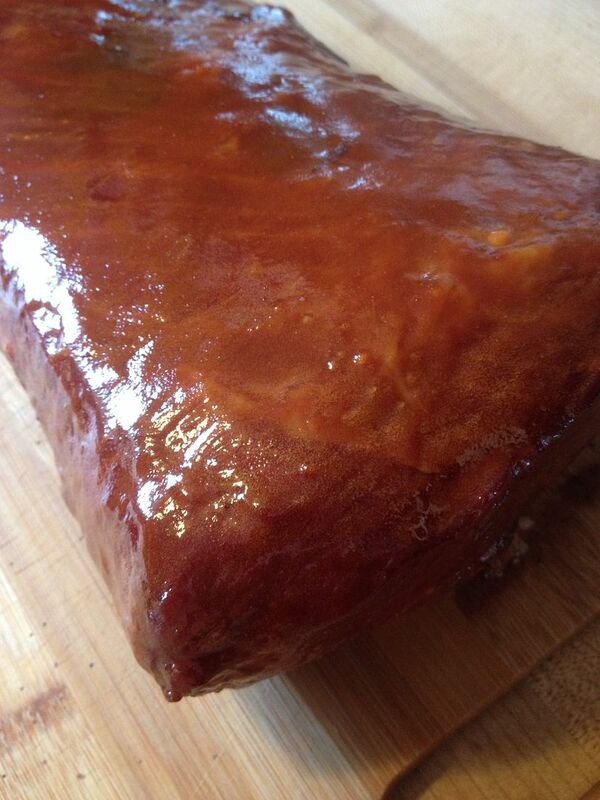 Drooling I'm a big fan of corned brisket too this sounds and looks so good! 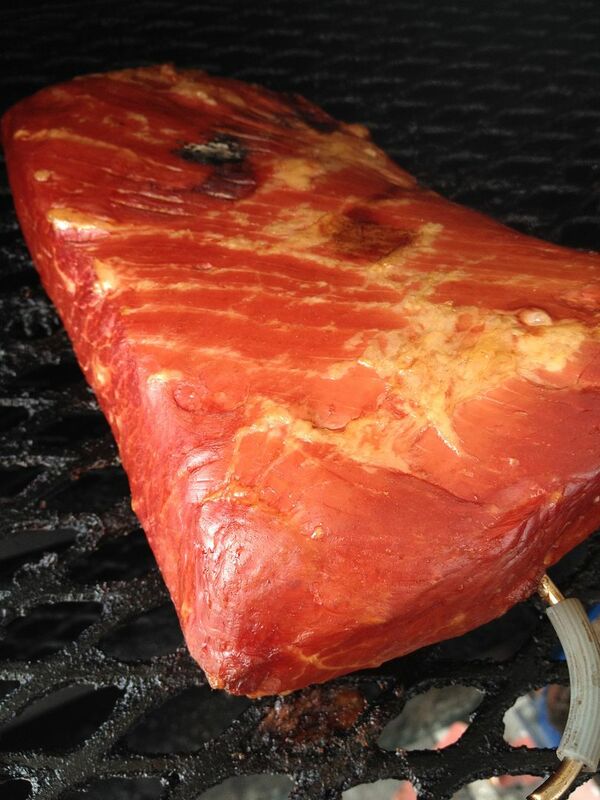 Smoking a corned beef has become a tradition around these parts of St. Pattys day. We did not have as good of results. I had to leave the house for several hours and the internal temperature shot to 200 degrees. It was edible but had a rubbery texture. We are off to a huge contest this weekend in Santa Anita right in the middle of the race track. 100 plus teams. 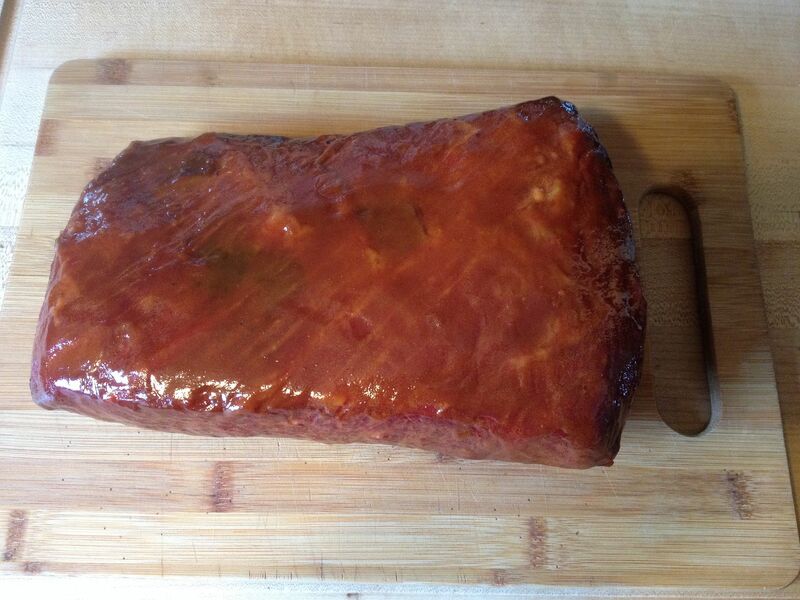 Chilebrown, after the smoked corned beef, I do not think Hope will boil another one to be made ever in our house. Have fun in Santa Anita. Three weeks and counting here. Can't wait.